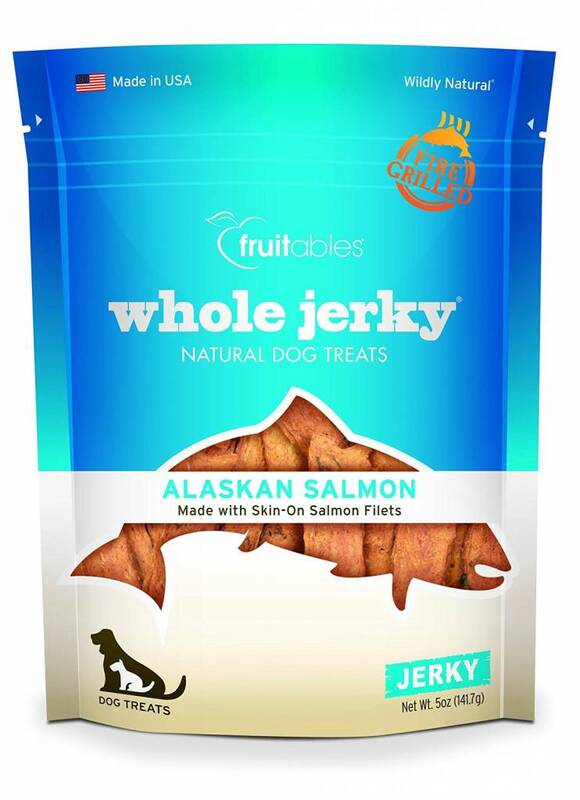 Fruitables Whole Jerky Alaskan Salmon Dog Treats are delicious, grain-free treats made with wholesome salmon filets and skins for a delicious everyday or occasional snack. 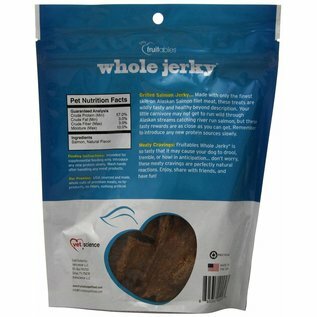 High in protein but low in fat, these salmon jerky treats are perfect in between meals for dogs on the go! 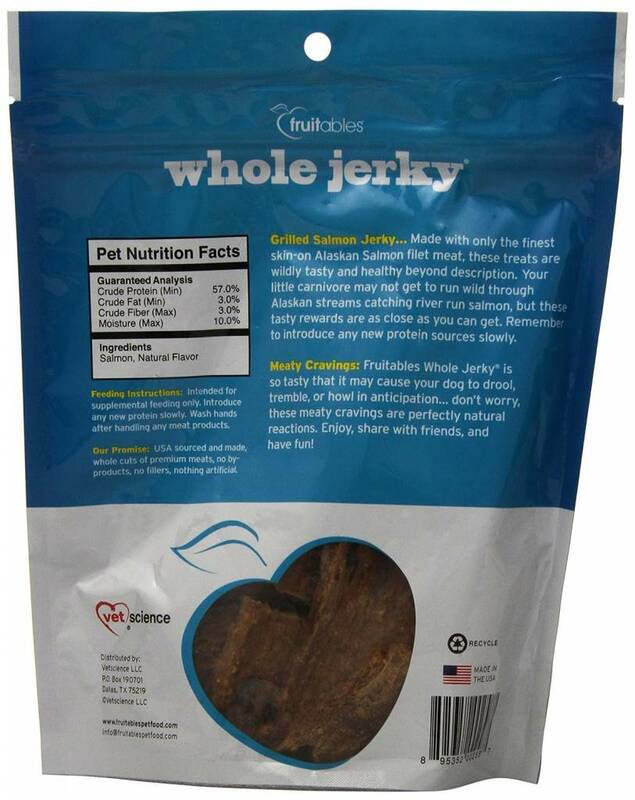 No fillers or grains here- just salmon. 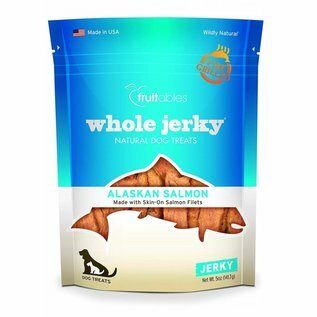 Fruitables Whole Jerky Alaskan Salmon Dog Treats are a great hypoallergenic treat for dogs sensitive to beef, chicken, and more common protein sources.